All of the wheels and tires. What size tires, which are tires, tire composition. According to tread cars are non-directional, directional and asymmetric. 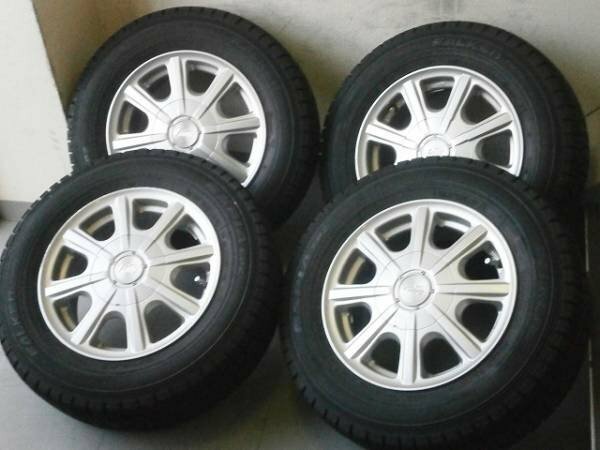 Asymmetrical tires have the most high performance, but has a significant drawback (and direction): spare tire is suitable for mounting only on one side of the vehicle (either left or right, depending on how the assembled wheel). Seasonal use of car tires are made of three basic types — summer (highway), and the winter season. If the vehicle is operated year-round, the best solution is to have two sets of wheels — a summer wheel, and the second with winter. All-season tires can be recommended only in the case of frequent trips in winter on well cleared snow from the roads (in big cities). The fact that all-season tires on its operational parameters summer give way to summer tires and winter — winter. In recent years, the vast majority of produced tires are tubeless. These tires have a number of advantages (smaller mass of the assembled wheel and correspondingly lower unsprung vehicle weight, higher resistance to puncture) and it is not necessary to install them in the camera. If the old tubeless wheel pressure drops rapidly, it is not a reason to insert a camera and a sign of a serious malfunction disk (violation of geometry or corrosion) or bus (a puncture or incision). Even when driving in the city on a regular basis to be cleaned of snow and ice roads is strictly prohibited the use of summer tires in the winter season. The chemical composition of rubber, the tread pattern and the stiffness of summer tires do not comply with the conditions of the winter operation of the vehicle. Thus, even when the vehicle is on a completely dry winter asphalt road, the braking distance of the car on summer tires will be much longer braking distances on winter tires, the worst effect of coupling properties of soft enough in freezing temperatures the summer rubber. Be warned: unlike summer tires, winter tires during prolonged driving at high speed, warming up, do not improve traction, but rather worsen. It is also not recommended for operation of winter tires in the warm season — warm-up winter tires not only reduce the coefficient of grip but wear out very quickly. Winter tires are fitted to the vehicle must be the same size as the summer. Minimum permissible height of the tread of a car is 1.6 mm. Tires with lower height of the drawing are not suitable for use. Be sure to monitor the tread depth of winter tires (minimum allowable tread depth — 4 mm, if the depth is less tire should be replaced immediately). When installed on the vehicle studded winter tires, be sure to install the rear window special character «Thorns». Do not forget that to ensure the best handling car all-wheel drive is recommended to install the tires of the same size and the same brand. It is strictly forbidden installing different tires on the wheels of one axle of the vehicle. We also remind you that you should not change the wheels on interchange the direction of rotation of tires. Installation of tires, which is different from the size specified by the manufacturer, will result in incorrect operation of the ABS and ESP. It is strictly forbidden to repair the valve — if it fails, the valve must be replaced. If car tires wear out quickly, it is necessary to check the condition of the suspension and steering.